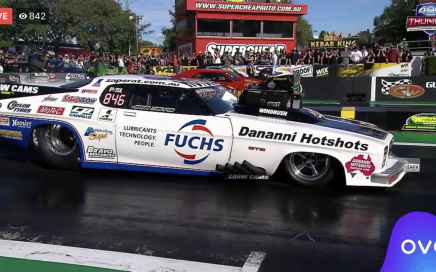 John Zappia has turned mad scientist recently with his Fuchs/Dananni Hotshots Monaro, testing a variety of theories in the Summer Slam Series at Perth Motorplex on Saturday. 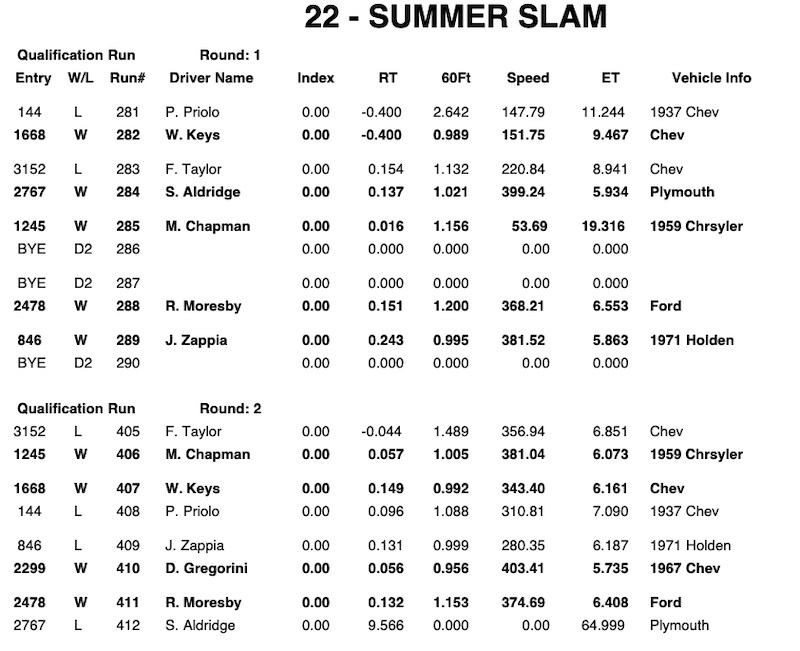 Using his third-in-line spare engine, Zappia reached the final of the Summer Slam before a lean condition in one cylinder resulted in a blown burst panel, allowing Mark Chapman to come around the outside for victory. Zappia said the third spare engine was one that hadn’t been used for three years and there was a learning curve to update its tune to new components. The team also decided to test a four speed B&J Transmission. “There was definitely a learning curve at this event,” he explained. 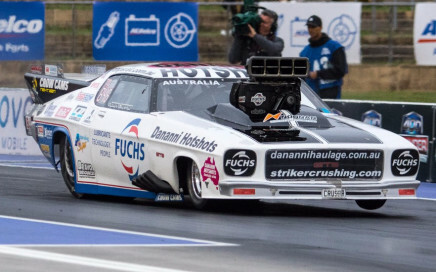 “On our first qualifying run we had a major air leak and we ran out of air before it got to the finish line, slowing to a 5.86. 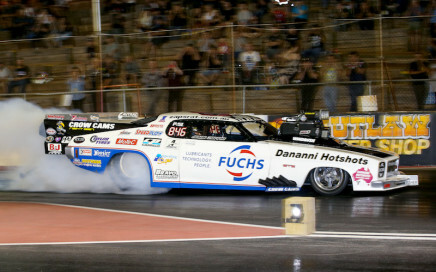 The elimination round saw Zappia take on Frank Taylor. 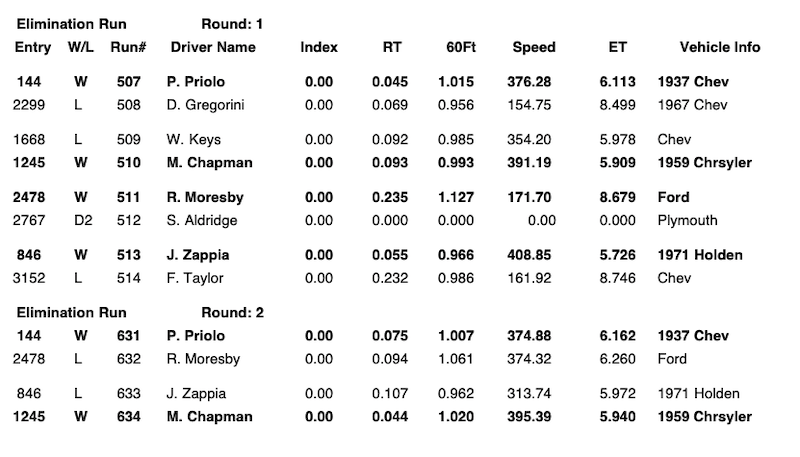 This time the troubles seemed to be over with just a quick pedal needed to get through slight tyre shake and a 5.72/254mph appearing on the timing boards. 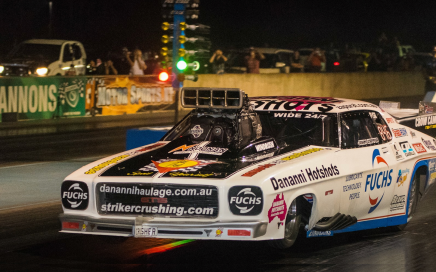 “The previous best we had done with this engine was a 5.75 at 250mph. We were pretty impressed and knew we were heading in the right direction,” Zappia said. 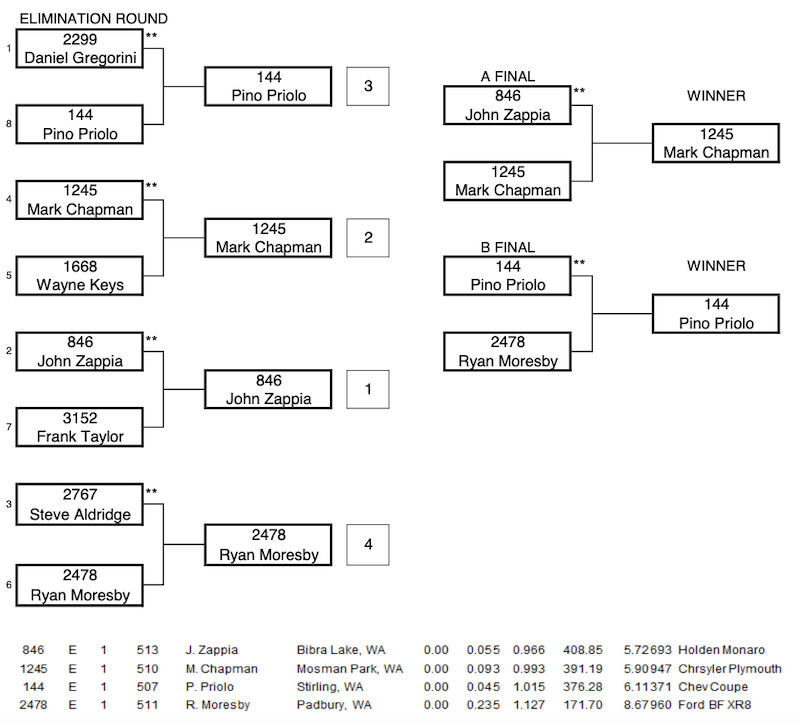 The performance came at the right time, granting Zappia a spot in the A Final against Chapman. 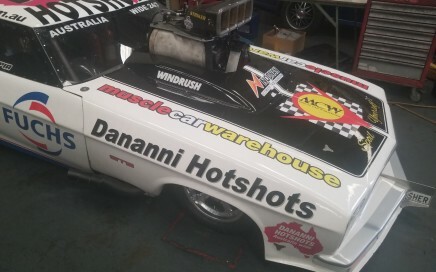 There the Fuchs/Dananni Hotshots Monaro left well before the number one cylinder came back to haunt the team. 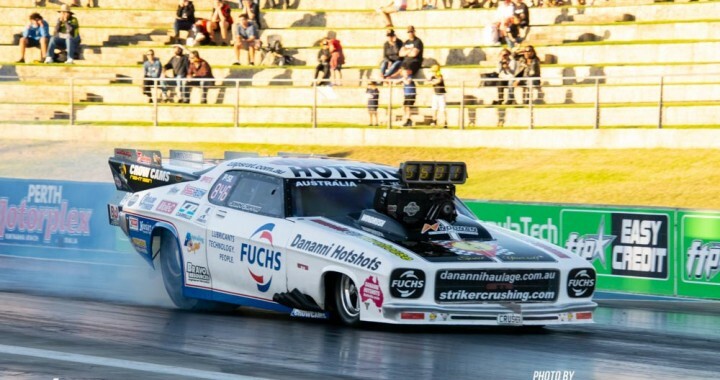 With the team able to test many different setups on the car at the last few events, Zappia will return at the ANDRA Grand Finals in just over a week with a brand new Noonan engine to combine horsepower with the four speed B&J Transmission.